The Granite Gear Crown V.C. 60 is a minimalistic backpack designed for those who want nothing more than comfort, light weight, and durability. 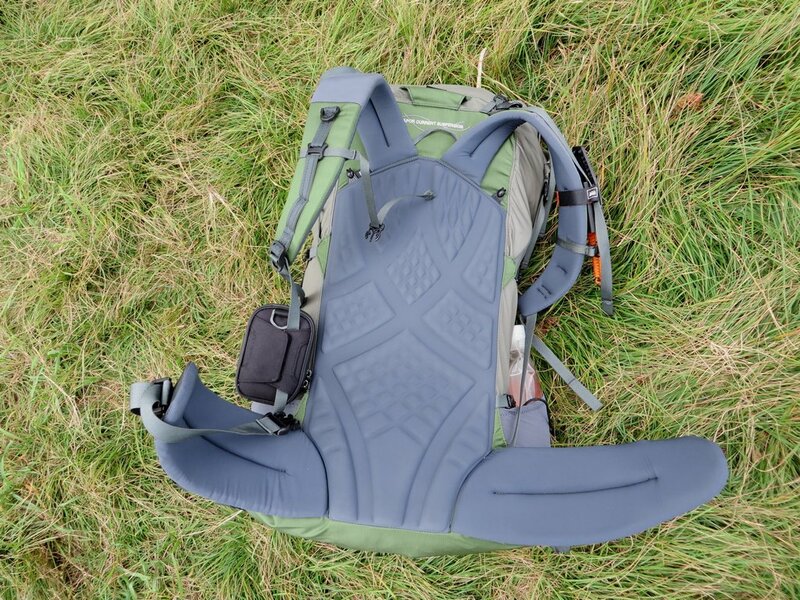 The Crown uses the Vapor Current suspension from Granite Gear, which is essentially a foam and plastic die molded panel that runs the back-length of the backpack. This creates light weight support, while creating air channels for added ventilation. 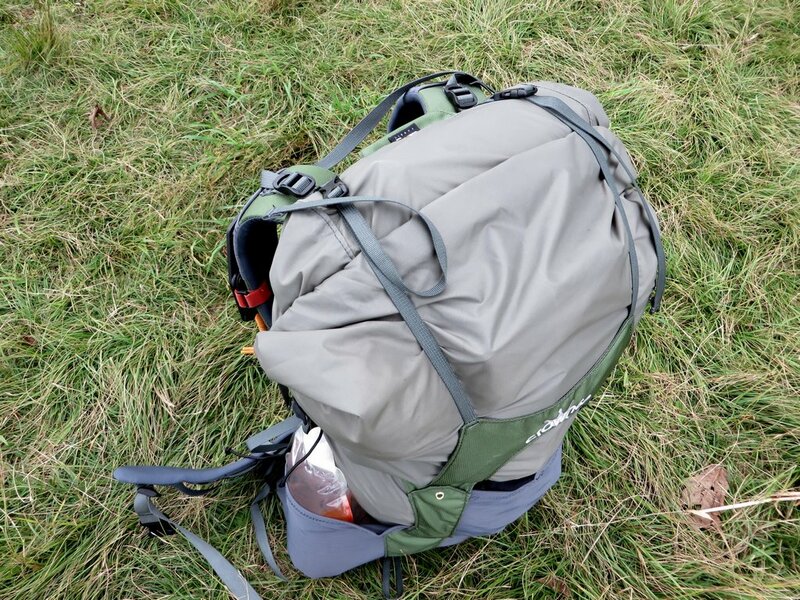 The pack itself is a roll top, top-loader with 3 stretch pockets on the outside. The roll top allows for quick access to the main compartment, while also providing protection from rain and other elements. There are no zippered compartments, and no top lid to cut weight, and provide simplicity. There are; however, attachment points for a lid, external pockets, and more. The pack weighs 2 lbs 2 oz, and retails for $199. The pack is exceptionally light weight, at just around two pounds. This is especially impressive considering it’s made out of extremely durable Cordura fabric. The pack spends all its weight in all the right places, like extra padding on the hip, back, and shoulder straps, resulting in better than average comfort all around. Build quality all around is exceptional, using durable materials, and cleverly reducing weight where strength isn’t needed, while doubling down exactly where it is. I have great confidence in the durability of this pack. The simplicity of the pack is appreciated, as the roll top top makes for easy access to the main compartment. Two clips is all it takes to release the top. The pack is easily large enough for multiple days (I tested up to 3 days at a time), and is comfortable holding up to about 30 pounds, thanks to the internal frame molded frame. The same frame also sits very close to your back, improving balance on rock scrambles. Multiple compression straps make for a very secure load, allowing you to cinch the pack down from every angle that you need to. The result is a tightly packed backpack that moves as you do. Even fully loaded, the frame holds its shape and doesn’t bulge into your back, which is vital to comfort. Ventilation across the back is good, providing just enough breath-ability to be usable in extra humid conditions. The external pockets do a great job of securing and holding water bottles, rain jackets, and any small odd items you may stuff inside them. The pack comes with the bare essentials in the way of organization. You’ll get the main compartment, two water bottle pockets, and an external stretch pocket on the back for rain jackets and similar quick access gear items. 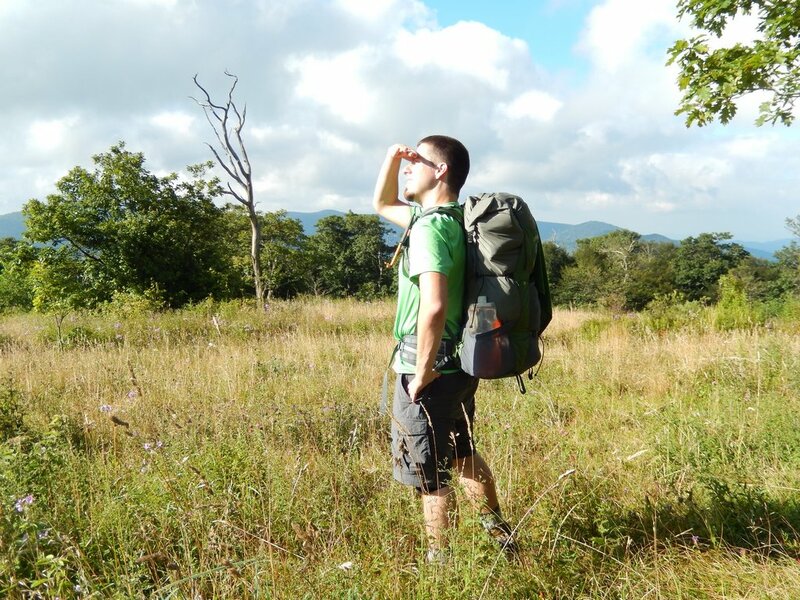 While this is adequate, those who want more organization or easier access to more items will want to purchase extra attachable pockets, ice pick straps, and lids for the pack, which are available separately, and at a bit of a premium. The frame is very soft, to the point that it doesn’t stand on it’s own if not packed and cinched. It’s a simple plastic sheet that runs the length of the back. If you’re carrying a lot of weight, or bulky items, it could cause some issues. Improperly packing the pack may also result in the frame bending away from you, so you may occasionally have to experiment or adjust accordingly. If you’re looking for a frame with a lot of support, this isn’t the one. 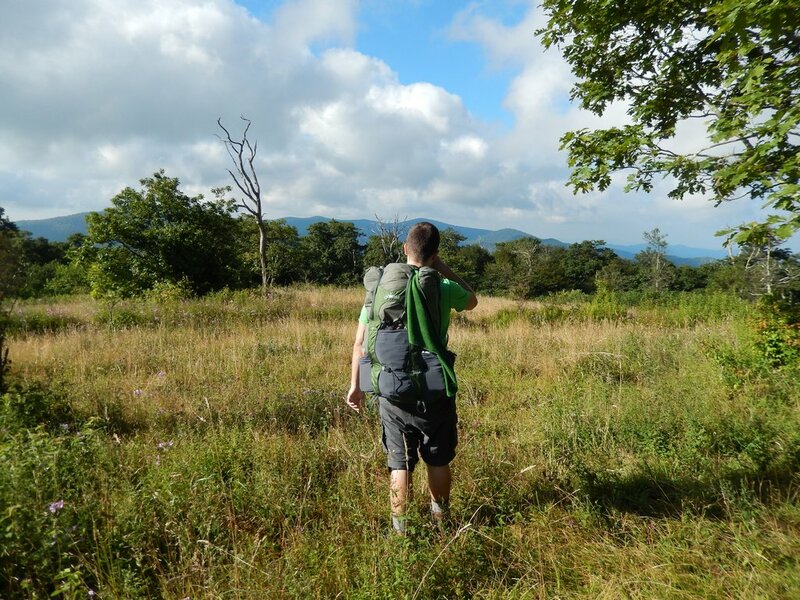 The pack isn’t designed to hold more than 30 pounds, due to the ultralight frame system, and around that point you can start to feel it. 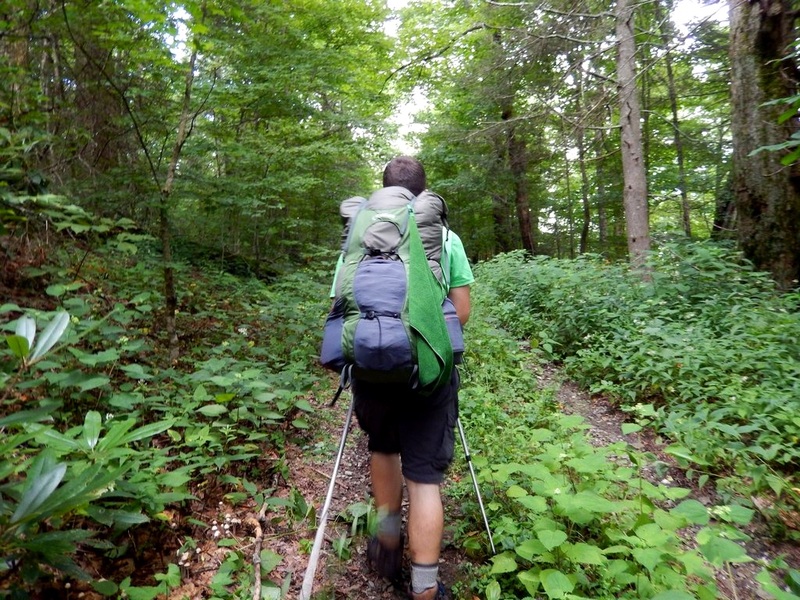 You’ll either have to loosen your arm straps, making for an unstable pack, or deal with a lot of pressure on your shoulders, which over time can result in some soreness. While this isn’t a con, it’s simply how the pack is designed, you’ll want to consider this when packing for your trips. I feel like the pack begs for just one more pocket, but I made do without out it. If you’re big on organization, you may crave extra storage when digging for the keys to the car. I’m quite pleased with this pack. The durability, light weight, and comfort of the pack come together to make an impressive, easy to carry package at just around 2o0 bucks. While I found myself yearning for an extra pocket (Lineloc Lid Review Here), I found the pack to have everything I truly needed in a pack, cutting the fluff for me, and getting the job done with great efficiency. The backpack understands what you need, gives it to you, and gets out of your way, all while looking great in the process. 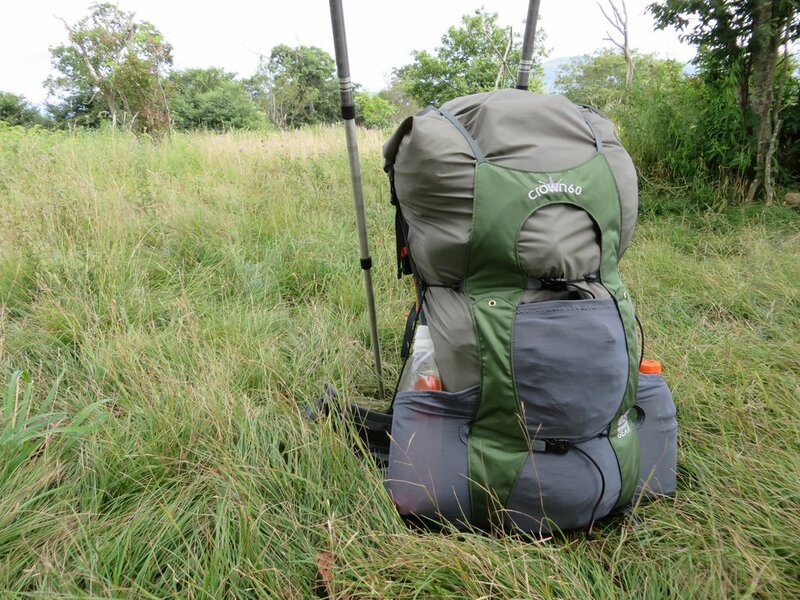 The pack is designed for the light weight, or even ultra light backpackers. Those new to the sport may have trouble accommodating those restrictions. Highly recommended, to those who are going it light.